In 1982 I was involved with setting up a JOTA station for a local Scout group. 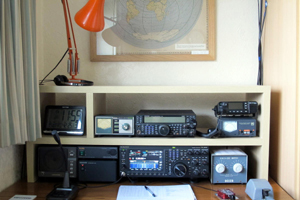 GB2PS was to be located at Penn Church, near Wolverhampton, and the intention was to operate HF and VHF. A full size 2 ele 20m quad was constructed on-site for the HF side of things, and the organiser (G4LLU) was going to bring his 8 ele 2m quad for VHF. 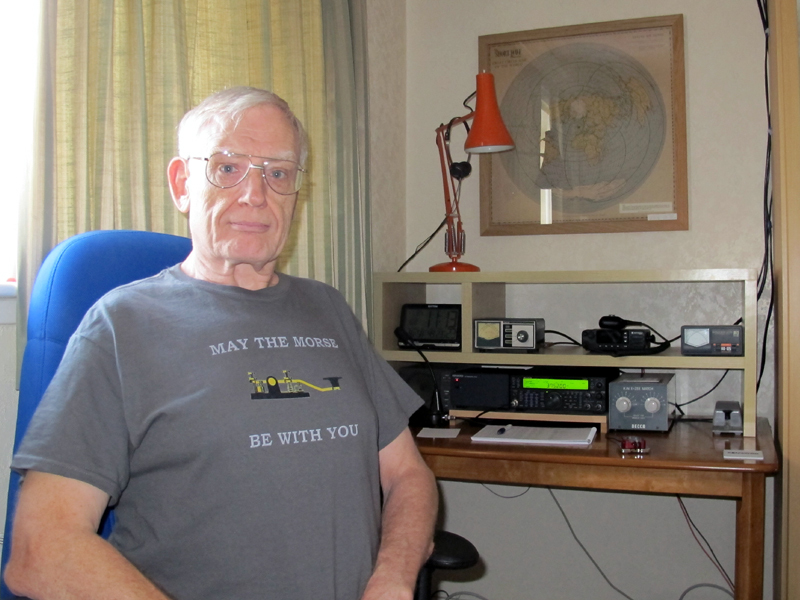 The 2m antenna was the one in use at his QTH, a couple of miles away. To avoid having to take the thing to pieces & then reassemble it at the other end, Geoff and his passenger (G4LWC) decided between them that they could transport it to the JOTA site while still assembled. All they needed to do was take out the sunroof of Geoff's car and wedge the base of the stub mast into the centre console between the front seats. This done, they set off for the Church, but not before having another idea......to connect the aerial to the mobile rig and make use of it during the few miles they had to travel. Geoff would concentrate on the driving, while Lionel (G4LWC) would control the aerial. 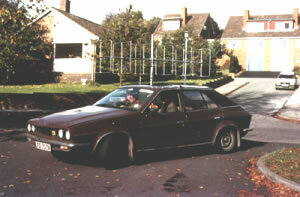 Off they went along the main A449, chatting to locals, when a very weak station called in from the wilds of Shropshire. Lionel decided to rotate the aerial for a better signal, which resulted in a great improvement in signal strength. While he was in the process of turning the aerial Geoff noticed a postman cycling towards them. Mouth wide open in disbelief. So intent was he on looking at the strange object apparently fixed to the roof of a car that he ran into the kerb and fell off his bicycle. Luck was with him though. He landed on a grass verge. Looking through the rear view mirror to see if he was hurt, Geoff could see that the Postman was already on his feet. After considering whether they should stop and explain, Geoff thought better of it. It could have taken some time. Those of us already at the JOTA site had been keeping track of their progress over 2m. I had time get to the carpark and capture their arrival. There was a good deal of discussion about whether it was legal to be driving around with such an aerial. The consensus was that it was OK unless you happened to get caught so they waited until after it was dark before setting off home.